No one crashes a pool party like the Colonel! 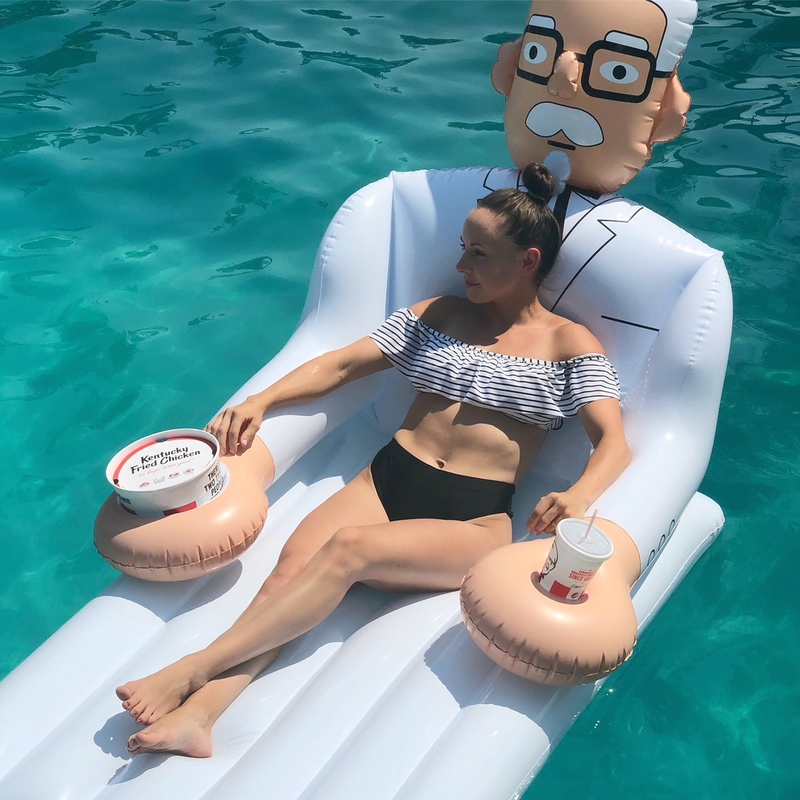 This summer, Colonel Sanders has quickly become everyone’s favorite pool party guest. Right around Memorial Day Weekend, KFC launched a wild sweepstakes with the help of creative agency Wieden+Kennedy. Loyal KFC fans entered to win one of these outrageous pool floats produced by Canary Marketing in the shape of Colonel Sanders. The key detail that puts these floats way over the top is the two custom compartments designed to hold a drink and a large bucket of chicken, because come on, who doesn’t want to eat a bucket of chicken in a bikini? Don’t worry, we won’t judge. In fact, we’ll join you for some crispy deliciousness! I read this article and found it very interesting, thought it might be something for you. The article is called Fancy A Float? and is located at https://www.canarymarketing.com/productgalleries/fancy-a-float/.